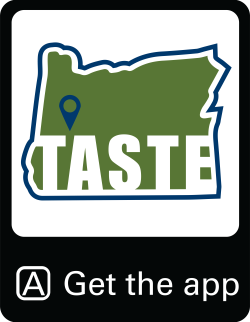 While most vineyards are easily accessible from the Eugene area, immerse yourself in the wine tasting experience by staying in a B&B, a vacation rental or small town hotel. 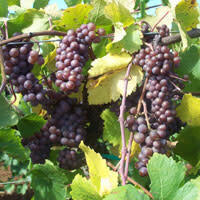 Gateway communities to wine country include Cottage Grove, Creswell, Veneta, Junction City and Coburg. Linger in the picturesque rural beauty after a pleasant day of wine tasting. Choosing the pastoral valley as home base for your wine adventures opens up an array of complementary activities including golfing, cycling and horseback riding. This Cottage Grove hotel has beautiful, cozy guest rooms with private garden patios. Deluxe rooms feature down comforters, fireplace, microwave and refrigerator. Fourteen acres (5.6 ha) of beautiful themed gardens and walking paths. Gazebo and garden area available for weddings. Complimentary full hot buffet breakfast is included with your guestroom. Meeting space available. Restaurant on-site. Lily of the Field Bed and Breakfast is a craftsman style home located on 1,200 acres (486 ha) in Cottage Grove with meadow and mountain views. The suite offers a balcony with a private bathroom, or on the edge of the woods, stay in the unique gypsy wagon. Full breakfast included. In close proximity to Dorena Lake, covered bridges and the Row River Trail. Cute and cozy 50's style farmhouse and stable in the heart of Oregon wine country, near Junction City, just minutes from Eugene or Corvallis. Two private bedrooms, each comfortable for two, a shared bath, and a generous continental breakfast in the morning. Also a “glamping” option in a travel trailer guest house with all the amenities. Farm Stays available for an in depth country living experience. Accommodations for horse travelers with a guest barn, RV parking, access to riding arenas and nearby trails. Families and well behaved pets are welcome. Call or email for reservations. A Junction City motel just outside Eugene in the peaceful rural community. Only ten minutes from the Eugene Airport. This newly remodeled, clean and comfortable inn offers 22 spacious guest rooms complete with microwaves, refrigerators and free Wi-Fi. Come for nearby golfing, gaming, wine-tasting or the popular Scandinavian Festival! Budget accommodations ideal for sports teams, corporate travelers or leisure rest stops. RV and bus parking is available and airport shuttle service can be arranged for a fee. Park and Fly offered. Pet-friendly too! A luxurious Eugene bed and breakfast in a garden setting overlooking downtown Eugene and known for its charming accommodations and comforts. Built in 1892 and restored in the tradition of a fine European hotel. Elegant guest rooms feature luxury amenities. Catering to business and leisure travel and available for weddings, receptions and business meetings. Inquire about special events from tea to dinners. Nestled against Skinners Butte and in close proximity to many walking and biking paths, restaurants, Autzen Stadium and the University of Oregon campus. A sophisticated B&B near the University of Oregon. Enjoy the comfort of this charming European-style 14 room inn. The acclaimed Eugene restaurant, steps away from the guest rooms, serves elegant Italian cuisine sourced locally with ingredients from their own farm. Sip a glass of pinot noir on the patio or enjoy dessert in the evening before retiring. Events at the Inn can be catered for 150, perfect for special party or gathering. Larger catering options offsite available. A modern luxury country inn built in Northwest Contemporary style. Serene, relaxing atmosphere in a magnificent setting on the McKenzie River. Just 8 miles (12.9 km) from downtown and I-5. Offering five spacious, premium, accessible guest rooms with all king-sized beds, an elevator and a cooking school on-site. All Cooking School classes must be reserved at least one week in advance (overnight stay not required). Visit the website for details about the cooking classes. This is a haven for bicyclists, fishermen, food lovers, painters, bird-watchers or anyone just wanting a perfect getaway. A Cottage Grove motel located just off of 1-5 with easy access to Eugene for UO game days or other high volume events. Motel features include indoor heated pool and spa, free continental breakfast bar, exercise room, guest laundry and priority club guest program, which earns airline miles. Free high-speed Internet access and business center.